Welcome on a student tour to Stonehenge & Bath. 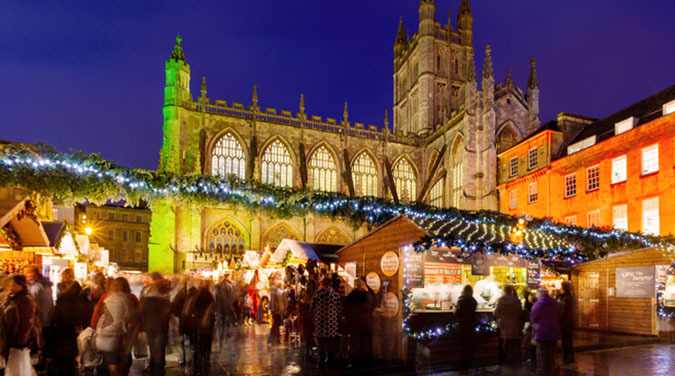 On this tour you will visit 2 amazing places: The Stonehenge World Heritage site and the World Heritage city of Bath. PLEASE NOTE: Its recommended you buy the tour by Friday 4pm before departure as spaces for Stonehenge are limited and paid in advance and sales after this time may not be possible. We will begin by visiting the Stonehenge site with its visitor centre and facilities. Entrance ticket and multi-lingual audio guides are included and provided on arrival. After Stonehenge its a 1 hour journey to the city of Bath. Your guide will take you on a 1 hour tour of the best sights and then you are free to explore and visit any attractions, musuems or art gallery or go shopping before your departure late afternoon. The Stonehenge site has the entrance included in your ticket price. You will also get an audio guide given for free as you enter. Toilets, souvenirs plus food and drink is available. Stonehenge is one of the oldest prehistoric sites in Europe and is also a UN World Heritage Site. The site was first started in 3100BC and was in use until 300AD, almost 3500 years. You can walk around the stones and use an audio guide that tells you more about the history of the stones. There is also a new visitor centre exhibition to learn more about this incredible landmark. Please make sure you are back on board the coach at the correct time. The Roman Baths complex is a site of historical interest. The house is a well-preserved Roman site with baths and a temple. The Roman Baths themselves are below the modern street level. 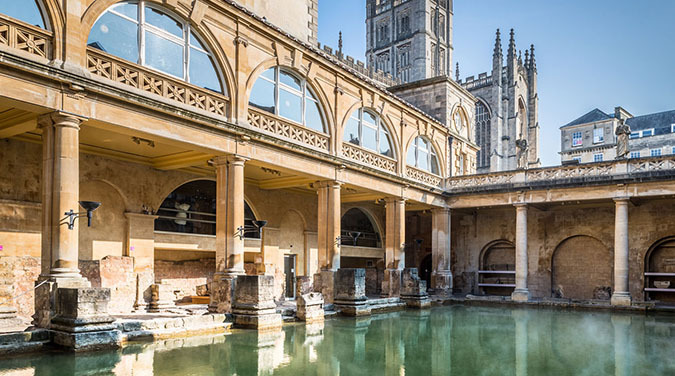 There are four main features: the Sacred Spring, the Roman Temple, the Roman Bath House and the Museum holding finds from the Roman Bath. The buildings above street level date from the 19th century and include the Pump Rooms. Cost £13 approx. Free public art gallery (though some exhibitions may charge entry) featuring over 1500 paintings, sculpture and decorative arts. Features fine and decorative arts and has free entry. Next to the museum is Sydney Gardens, a favourite place to walk for Jane Austen who set part of her novel Northanger Abbey in the surrounding area. Stonehenge arrival or Bath arrival will depend on your departure region and varies in order and timing. Stonehenge will be on average 90 minute stay but possibly more or less time depending on where you are leaving from. Bath walking tour of 1 hour and free time until departure.